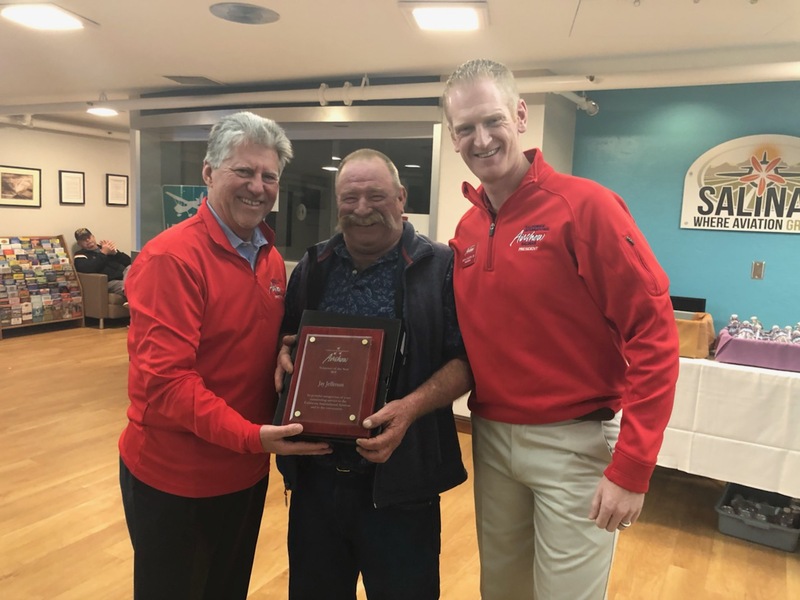 Salinas, CA – February 11, 2019 – The California International Airshow honored two volunteers as their Director of the Year and their Volunteer of the Year at their committee chairperson meeting this evening. 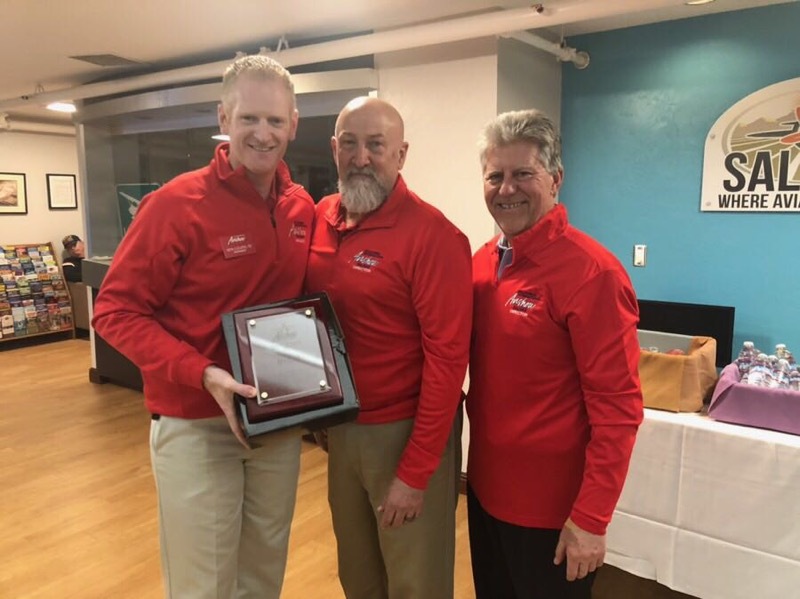 Ken Smith, the Airshow’s Director of Ground Operations, was named “Director of the Year” in recognition of his hard work, dedication and outstanding accomplishments. Jay Jeffries was named “Volunteer of the Year”. Jay has been part of the Salinas Airshow’s Air Operations committee since the California International Airshow’s inception as he was involved with planning the very first Salinas Airshow. Distinguished Service Awards were also presented to Erin King from the Hospitality committee, Jacqueline Pena and Shannon Bliss, the Dean of Science, Engineering and Mathematics at Hartnell College from the Community Outreach Committee Brian Frost from the Marketing Committee, Mary Ann Worden and Elsa Pina from the Transportation committee, Dave King from the Admissions committee, and Robert Mina from the Sponsorship committee. The 2019 show is scheduled for March 23rd & 24th and will feature the return of the U.S. Navy Blue Angels, Robosaurus and so much more! Best of all, the Blue Angels will be landing at the Salinas Municipal Airport so their will be plenty of opportunities to see these jets up-close. For tickets, call the Airshow office at (831) 754-1983 or go here.